Palm Oil production business is an agribusiness and a very profitable business in Nigeria, we are blessed with good climatic condition, rich soil and good utilization of this can turn you into a millionaire within a short time. In this business one of the ways to make huge profit is by setting up a palm oil plantation for high quality growth, palm oil products could be exported to various countries, etc but on this post we you will learn some of the basic thing you need to know before venturing into this business. Before I continue am glad to inform you that our Palm Oil Production / Processing Business Plan in Nigeria & Feasibility Study can be used for Bank loans, Grant Application, Proposal writing etc. We make sure that we use the best quality inputs, good agricultural practice throughout cultivation and processing and production process. One good thing about palm oil processing/production is that nothing goes to waste, the fruits are squeezed to produce palm oil, while the palm kernel inside the fruits can be use to produce palm kernel oil. Palm Oil Processing Plant – To produce palm oil in huge commercial scale having a palm oil processing plant is very important, this plant processes the palm fruits into palm oil. However there are other traditional ways you can do this but using the modern machine makes the job a whole lot easier. Palm Oil Plantation – To have a palm oil plantation is one of the best ways to maximize profit in this business, but before you go into this business it requires the right fertile farmland to grow healthy palm trees, adequate rainfall and sunshine. Our sample Palm Oil Production / Processing business plan in Nigeria can be used to access bank loans, proposal writing and grant applications. The business plan was complied after a thorough feasibility study on palm oil production in Nigeria was done. 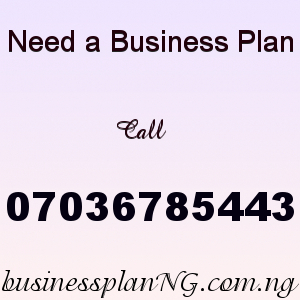 After payment text your name, your e-mail address and bank teller number to 07036785443 and you’ll receive your PALM OIL PRODUCTION / PROCESSING BUSINESS PLAN PROPOSAL / FEASIBILITY STUDY.